Formula E CEO Alejandro Agag said they are considering investing on professional esports as the all-electric racing body hold a simulator racing event this month at the Consumer Electronics Show in Las Vegas. While 20 Formula E drives and 10 qualified racing fans fight for a share of the $1 million prize pool in Vegas, Agag is going to look at how the event can evolve into a competitive sport. Dell is now an official sponsor of Turner’s ELEAGUE, while the technology giant’s gaming hardware brand Alienware will become the league’s exclusive PC hardware provider, according to a statement released in its own website. 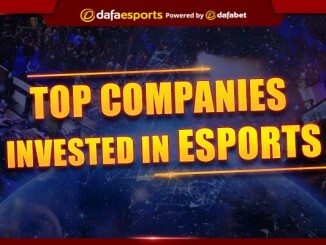 The partnership is expected to boost global esports audience from 256 million to 345 million in the next three years, and help revenues breach the $1 billion mark. “ELEAGUE is proud to welcome Dell as a key partner, supporting the passionate esports community and delivering the high-performance hardware needed to fuel ELEAGUE’s thrilling competition all year long,” said Seth Ladetsky, Turner’s senior vice president of Sales, Turner Sports. Greek football club Panathinaikos F.C. 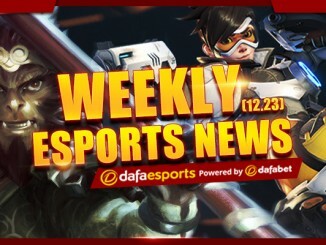 has set up its own esports division, becoming the latest traditional sports organization to venture in the e-gaming world. The oldest active soccer club in Greece will first set foot in League of Legends, but has plans on joining competitions for StarCraft, Dota 2, CS:GO, FIFA 2017 and NBA2K. “Competition in the digital environment and the combination of speed, accuracy and strategic thinking team spirit, etc. is proving extremely attractive as an option for the general public as entertainment,” said Panathinaikos president Dimitris Baltakos. Former Team Liquid’s Adrian “FATA-“ Trinks, along with Adam “343” Shah, Lee “Forev” Sang-don has formed a new team ahead of the upcoming Kiev Major. Yazied “Yapz0r” Jaradat and newcomer Feras “Feero” Hroob will complete the team, which as of press time has not been named. Because of visa issues, TI6 winners Wings Gaming cannot make it in time for the Dota Pit Season 5 LAN Finals and will be replaced by Elements Pro Gaming, according to a tweet from the tournament organizer. Elements fell short in the qualifiers for the Spaladium Arena event, but they reached the finals of the first EU qualifier, where they bowed down to OG 2-3 in a full-blown thriller. 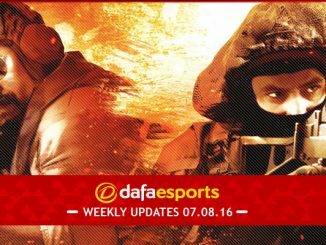 Digital Chaos were the only other team invited for the event, while Team Secret won the second EU qualifier. Virtus.pro (CIS), Team Faceless (SEA), Invictus Gaming (China) and Evil Geniuses (America) all reached the Pit through regional qualifiers. Peter “ppd” Dager, Evil Geniuses’ CEO and former captain, has formed a team and will return to the competitive scene. In a video statement, ppd said EG remains his top priority, but he also hopes of qualifying for the Kiev Major with his new team, WanteD. Jio “Jeyo” Madayag, Rasmus “Chessie” Blomdin, Kim “QO” Seon-yeop and Bill “Boris” Oliver are the members of ppd’s new team. Because there was calls for more champion diversity in pro play, League of Legends delivered and will increase the number of bans in all leagues run by Riot. The format change will occur in pro-play first, because Riot wants to analyse the pick/ban philosophy and tendency of players in regular games first. Austin “Link” Shin has joined Team Liquid, according to Riot Games’ contract database. The veteran stepped down from his former team Counter Logic Gaming following their 0-3 loss to Liquid in the 2015 NA LCS Spring Playoffs. Link once released an 18-page statement criticizing CLG and former teammate Yiliang “Doublelift” Peng. FC Copenhagen is rumoured to have dipped its feet on the very attractive pool that is the world of esports, according to reports from Danish sources. The club is yet to make an official announcement but finans.dk reported that the Copenhagen is looking to sign Dota 2 and CS:GO teams. 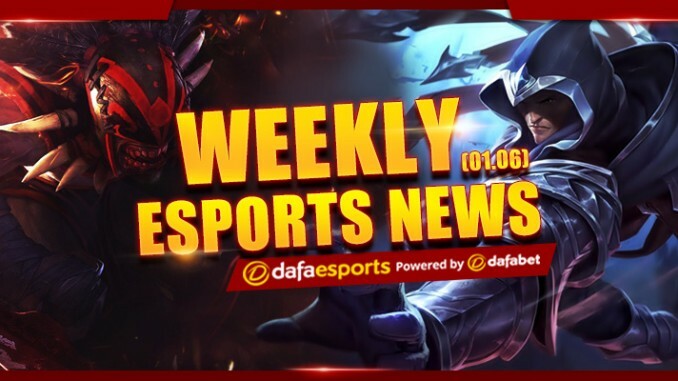 The rumours surfaced after the players from Team Dignitas got released, making them available as a group. Cloud9 and Fnatic have dropped out of the NGE Winter Premiere and will be replaced by FaZe Clan and Citizen7, according to the official event website. The event organizers are yet to clarify the situation, but the website has shown that FaZe Clan and Citizen7 will be the teams to fight for a share of the $100,000 prize money.